The importance of replacing filters on AC units should be fully understood by everyone who owns them, yet most people don't think much of the procedure. 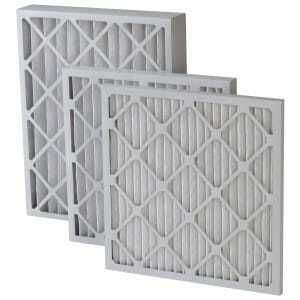 In fact, some AC users never replace their filters because they deem it a hassle and an unnecessary expense. This can have serious consequences in multiple areas. The more polluted your AC filters are, the less fresh air is available in your home, meaning you are constantly breathing in various pollutants and are setting yourself up for respiratory difficulties. Furthermore, dirty AC filters greatly reduce the air conditioner's efficiency, meaning your energy bill will go way up as you crank the AC up higher and higher in an attempt to cool the room. Ironically enough, timely replacement of AC filters actually saves money instead of merely acting as an expense. The frequency of AC filter replacement in your home depends on various factors and you should take note of each. If you have pets, you might have to replace your filters twice as often as someone who doesn't own any – the same goes for various fumes, sprays and powders that could be floating around your home. But the filters don't just get dirty from inside factors – the area around your home will have a huge impact on how quickly your AC filter gets dirty and the frequency with which you will have to replace it. 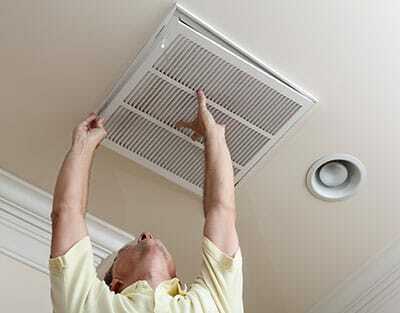 Simply put, the fresher the air around your home, the longer will your AC filters stay clean. Of course, the easiest reply to the question of when to replace the filters is "when they get dirty", but it's rarely as simple as that. It's fine if your filters aren't pristine, but there is a certain threshold of pollution that, when passed, warrants replacement. But how can you know what the threshold is? This is why we advise our customers to have their first couple of AC filter replacements done by us. Our technicians will explain what the various levels of pollution mean and which of them are acceptable, and they'll also clue you in on the amount of dirt accumulation that warrants replacement. This will either save you a lot of filters or a lot of breathing difficulties in the long run – either way, we'd say it's a good investment. Of course, filter replacement can be messy, which is why you can have Boerne Air Conditioning Experts handle your AC filter replacement completely. If you opt for this service, we will create a schedule of replacement based on the conditions in and around your home to maximize your savings while ensuring the air in your home is fresh year-round. Whichever option you choose, keep one thing in mind: dirty air filters are a major pollutant and can seriously threaten a person's health. Furthermore, don't underestimate the speed at which these filters can become dirty, especially when the AC is being used often – if you're using your AC unit a lot, it is of utmost importance to check the state of the filters often.